Laura Volkman originally planted this 3.2-acre vineyard in 2001 in Newberg, Oregon, and released her first wines in 2004. Laura quickly developed a loyal following over the years for her wines, but an unfortunate illness forced her to sell her property just before harvest in 2012. 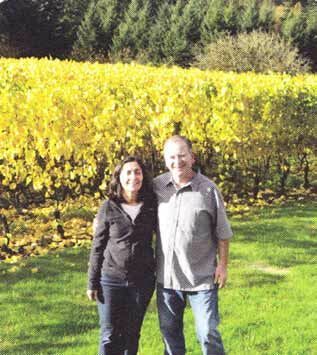 The new owners, Sandy and Bill Sanchez, are proud to carry on her legacy of producing premium Estate Pinot Noir. The new owners initially learned about the vineyard and wines Laura created by working with Laura during the 2012 vintage harvest and winemaking process. They changed the label to “The Potter’s Vineyard” because the vineyard property is also home to a pottery studio where Sandy and Bill craft hand made clay art. The new label invokes the memory of the Laura Volkman label. The tasting room also features a Clay Art Gallery, featuring the work of local artists including Patrick Noe, who created the ‘Vineyard Worker’ image on the new wine label. Sandy is a learning specialist assistant at a local elementary school and Bill is a Ph.D. scientist with Diamond V, a yeast culture manufacturing company. The couple are new to wine growing and winemaking but very humble about their opportunity. The Potter’s Vineyard is located in the Chehalem Mountains AVA, and is planted to Dijon 777, 114, 115 and 667, and Pommard clones of Pinot Noir in Jory and Laurelwood soils. 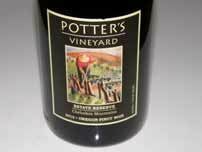 The first Potter’s Vineyard Pinot Noirs were released in May 2014, and are reviewed here. Tasting is available by appointment and the traditional Willamette Valley weekend open houses Thanksgiving and Memorial Day weekends. The website is www.pottersvineyard.com.